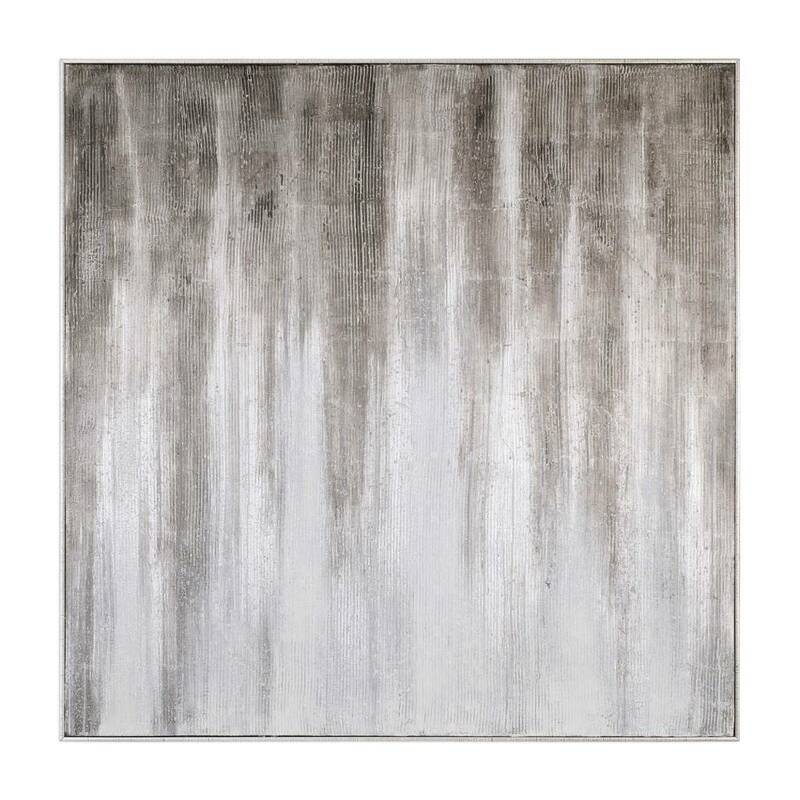 This artwork, featuring a heavily textured finish, is hand painted on canvas then stretched and attached to wooden stretchers. A narrow, silver gallery frame completes the outer edge. 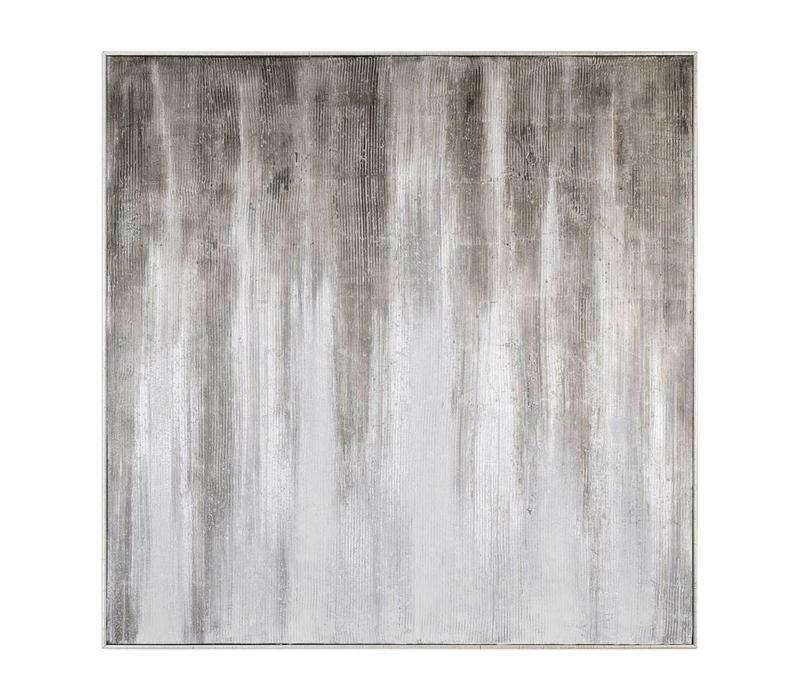 Due to the handcrafted nature of the artwork, each piece may have subtle differences. May be hung horizontal or vertical.